One of the nicest experiences has been when Gregore and I were approached by old friends Tommy and Denise to make her engagement ring. They had been together for some time and like many other older couples they had been a little cautious about marriage. But when Tommy came to us his excitement was palpable. He was sure Denise was the right one, the true love of his life, and Denise had made it clear she really wanted to marry him, he was was the right one for her. Like so many other species on our lovely planet Earth we too thrive when we are matched to a life long partner who is willing to go through the ups and downs to the end. It's a wonderful thing. When Tommy said he was ready, we contacted a colleague who has access to nice stones periodically for a fair price. 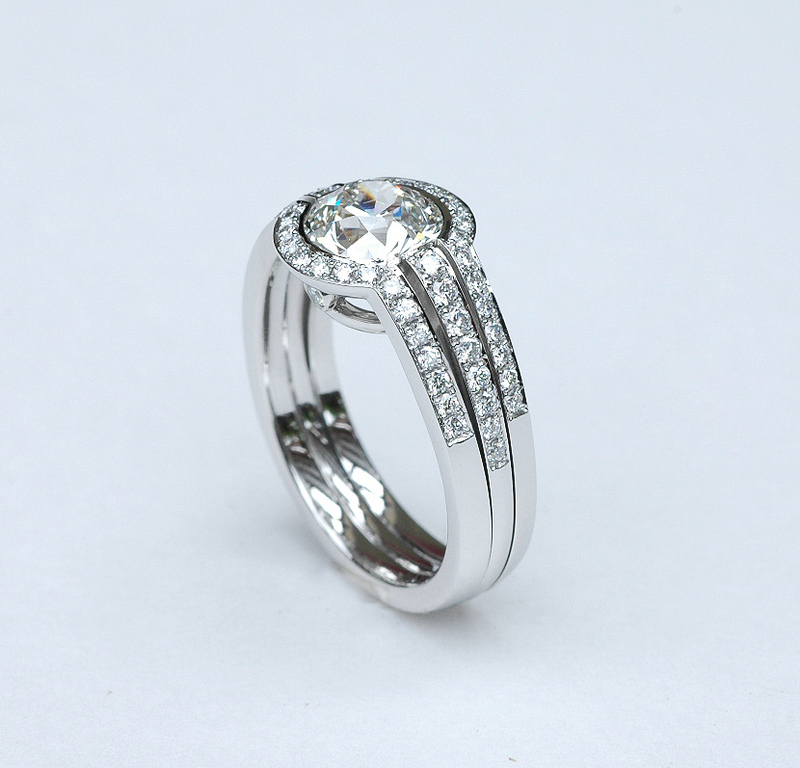 We had decided that Denise, who is tall and stunning, could handle at least a 1.5 ct diamond. 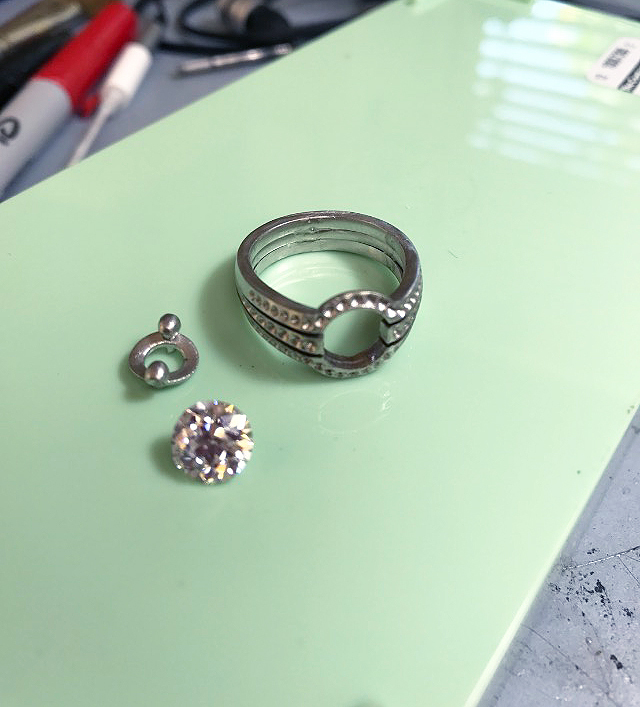 The one we found weighed 1.75 ct and needed some recutting, but the loss in weight was minimal so that the stone came in at 1.7 ct, a magnificent size for Denise. The diamond itself was lovely, it had a limpid cool feeling to it as you gazed inside. In part that visual effect was due to the cut. 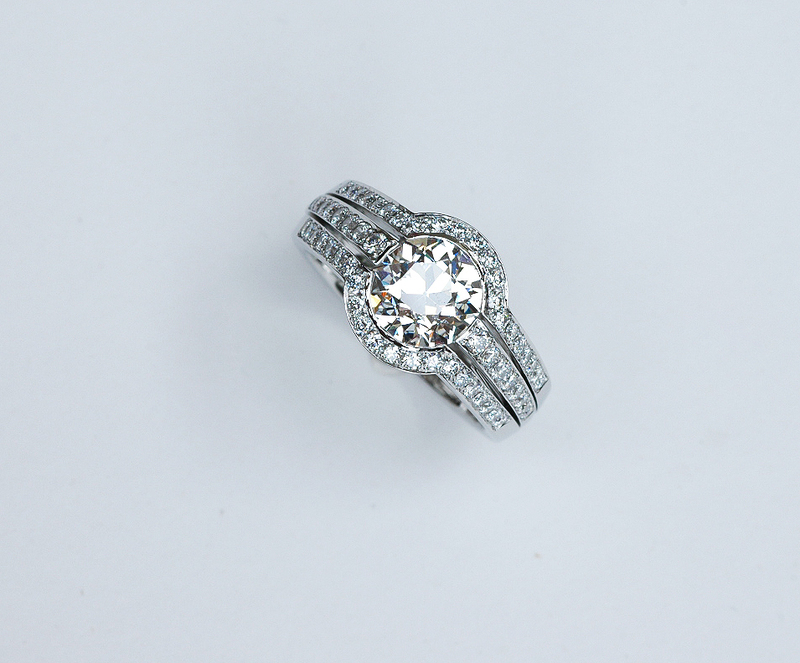 It was an older cut which means less facets and therefore larger flashes of light and color, which we prefer. The cullet was flat which is normal for the style but it was barely visible when you looked through the table. The crown was a real game changer because proportionally it was quite tall, so that as you looked at the side of it you could see through the diamond nicely once it was set. 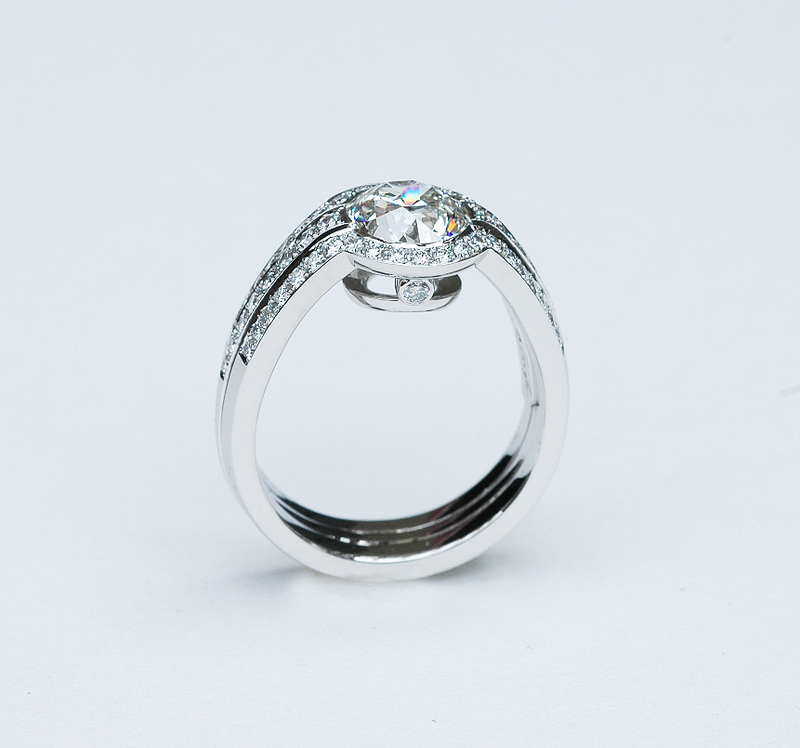 She loved the diamond, which was presented to her first in a ring holder we made. Tommy was very clear that Denise needed to be involved with the design. We sat with her to come up with something that would please her aesthetic. We then created the design in CAD which allowed us to show her a few changes fluidly and clearly. 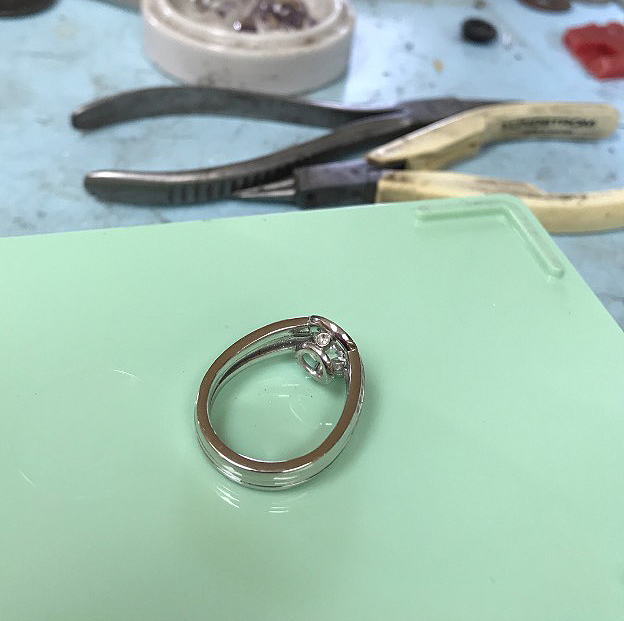 Once the ring was cast in platinum we shared with them the stages of production so that they could enjoy seeing their ring in progress. When they showed up for a fitting, just before the ring was fully polished Denise was in a stunning black dress with her long hair down and set to go out to meet the caterer. Tommy could't stop grinning he was so happy. 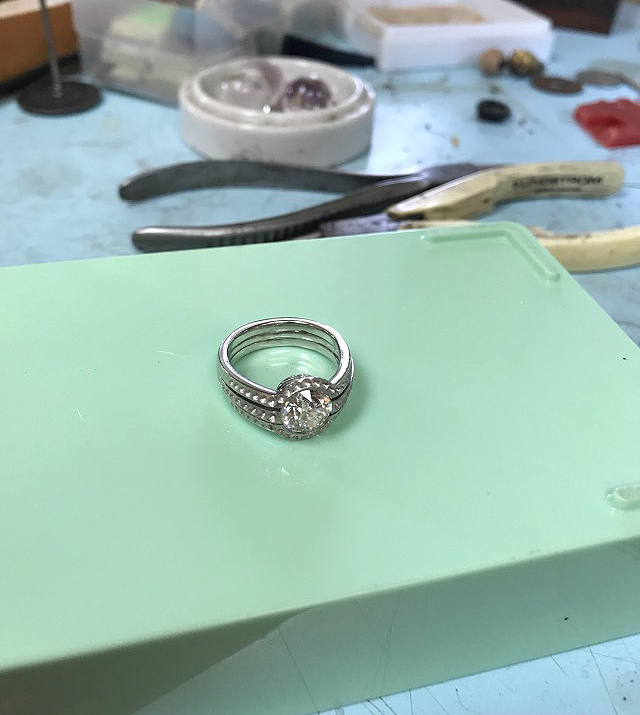 Denise wanted to take the ring right then and there but she was willing to come by the following day because we needed to give the ring a final polish and check over. 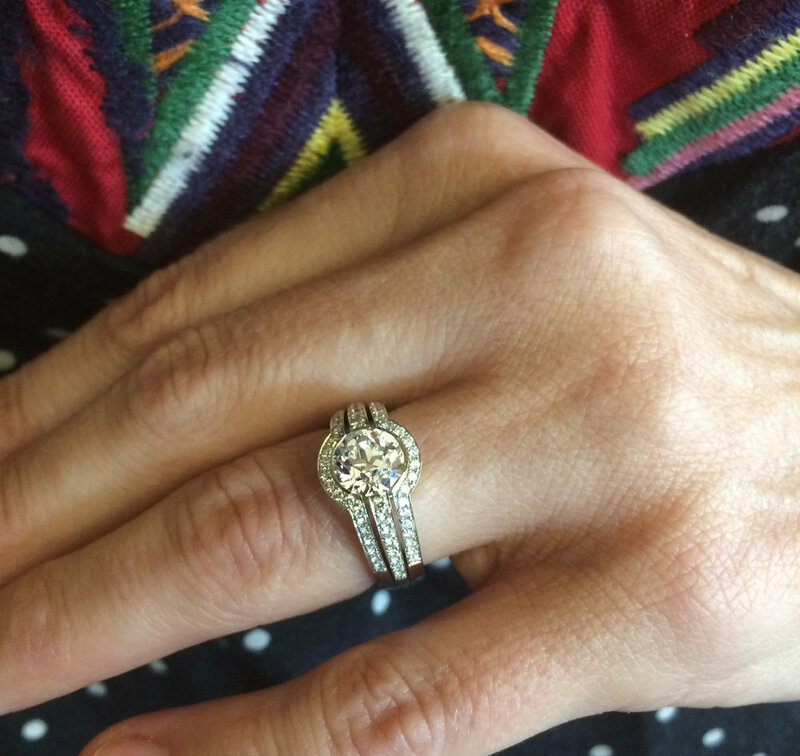 Another happy Santa Barbara customer with her beautiful custom made diamond and platinum engagement ring!